Efficient and prolonged protection in a simple and handy pump spray. 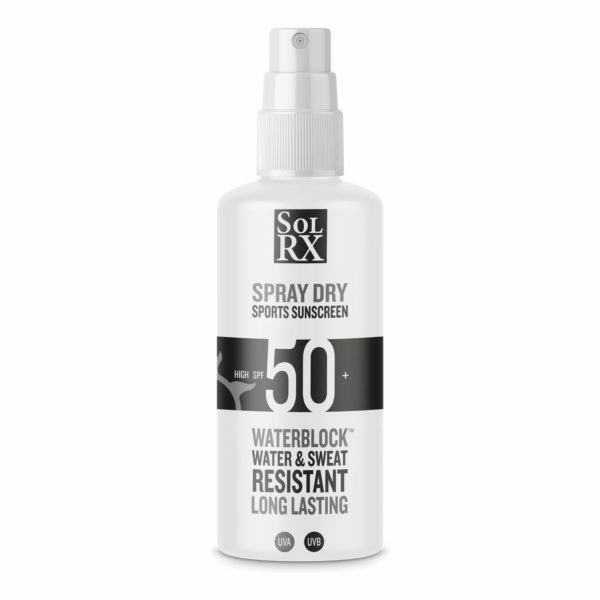 Like all SolRX Waterblock products, Spray Dry provides long-term protection against UVA / UVB radiation regardless of activity level and uses SolRX’s Waterblock technology for increased water resistance, have been lab tested for 8 hours protection. The Spray Dry format is very popular with athletes needing to cover larger areas of skin, such as cyclists. It goes on easily and dries leaving no oily or greasy residue, so it won’t impact your performance with slippery skin or hands.